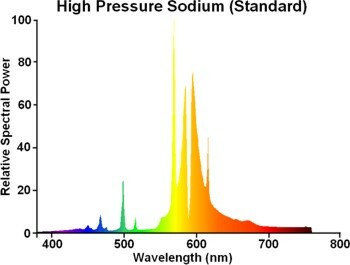 Since the introduction of the high pressure sodium lamp, the requirement for an external high voltage ignitor has often been regarded as an undesirable system component. This is particularly relevant to the lower wattage lamps where the inclusion of an ignitor in the circuit represents a significant increase in cost, as well as increasing the dimensions of the luminaire that must house it. 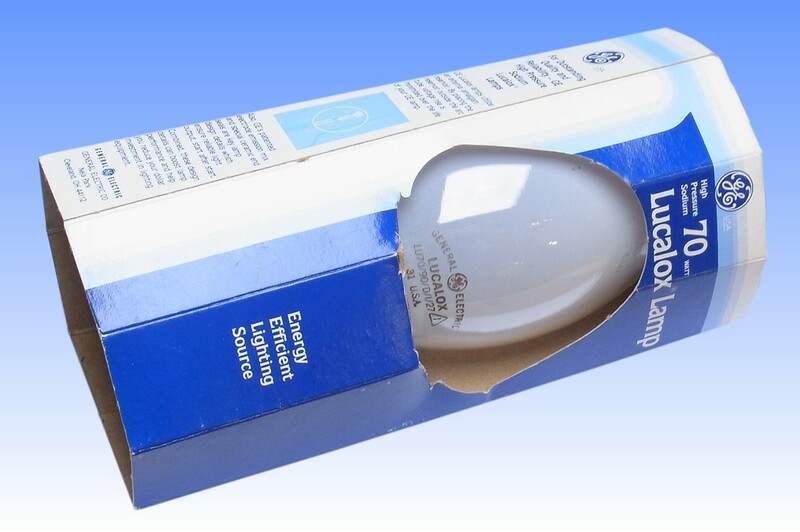 During the 1970s a number of low wattage lamps began to appear with built-in ignitors. At first these were based on moving bi-metal strips such as a glowbottle starter or vacuum snap-switch, but for many years both of these techniques suffered reliability problems. Typically the internal starter would fail long before the arc tube reached its end of life. The problem was elegantly overcome with the invention of the FEC internal electronic ignitor, exclusive to Iwasaki's Japanese lamps, but that system is rather costly and was protected by Iwasaki's patents. 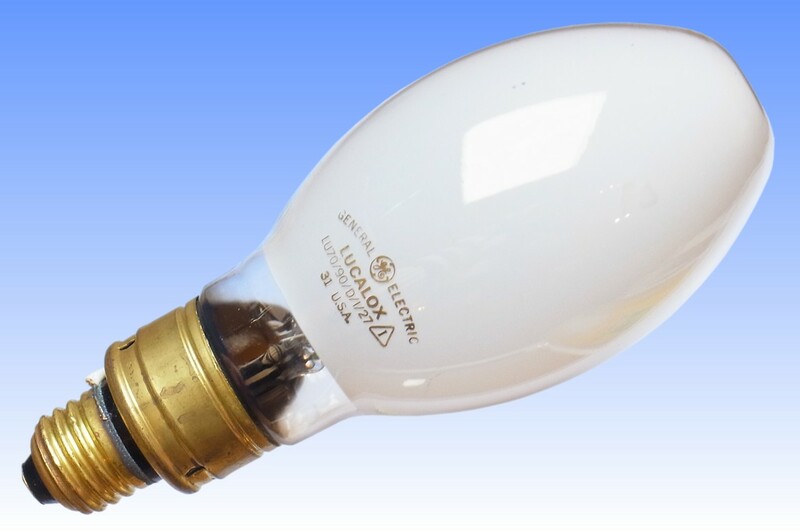 This GE lamp introduced a similarly reliable method of starting that circumvented the Iwasaki IP. 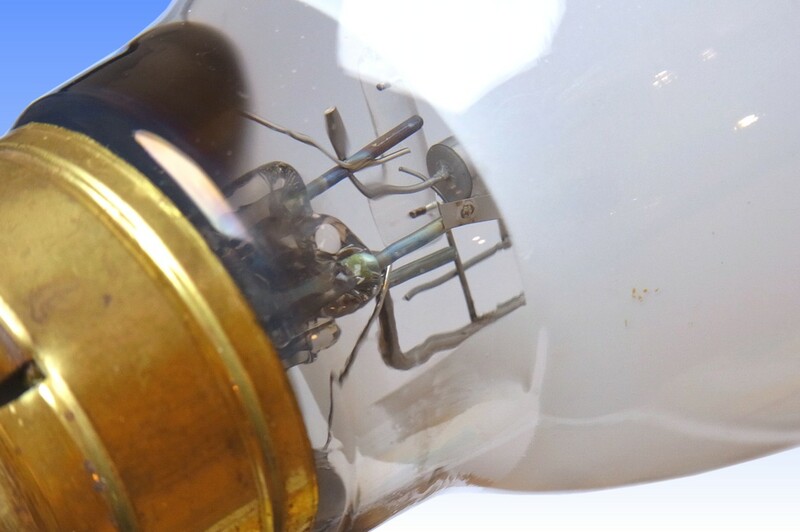 It employs a small electronic impluse generator, located outside the glass bulb and within the skirted portion of the oversize metal cap. A third leadwire has been pinched into the stem press of the outer bulb, and this carries the pulse via a bi-metallic strip to the arc tube. 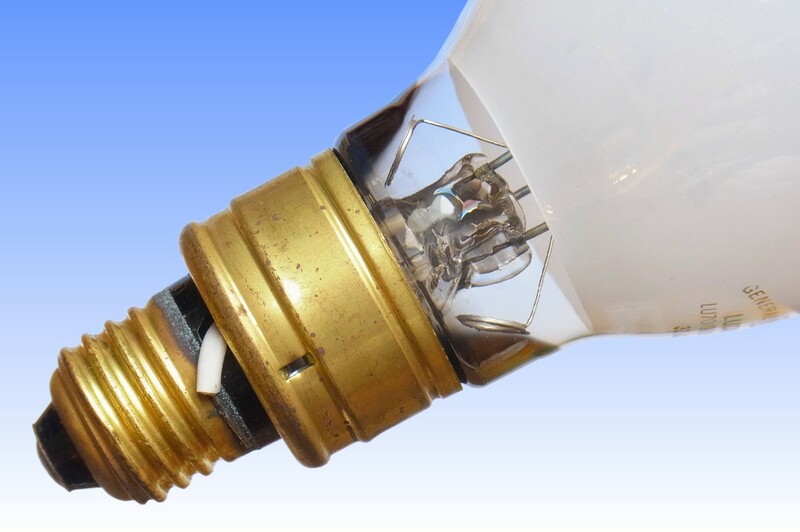 The bi-metal strip serves to disconnect the ignition circuit when the lamp is hot. This design was introduced around 1979, and continued in production until the mid 1990s. Thereafter the reliability problems with glowbottle starters were overcome, and the lamp was simplified by reverting to that cheaper concept.